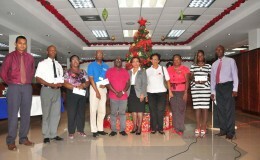 Gafoors gives for the season: In a demonstration of the spirit of giving for the Christmas season, Gafoors donated a total of $2M to seven non-governmental organisations on Tuesday. 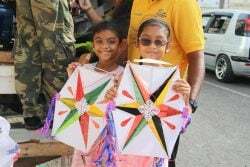 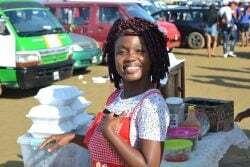 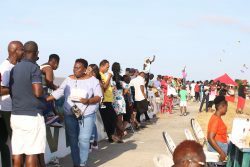 The organisations that benefitted are Help and Shelter, the Dharm Shala, the Deaf Association of Guyana, the Convalescent Home, the Ruimveldt Children’s Aid Centre, the Joshua House Children’s Home and the Guyana Association of the Visually-Impaired. 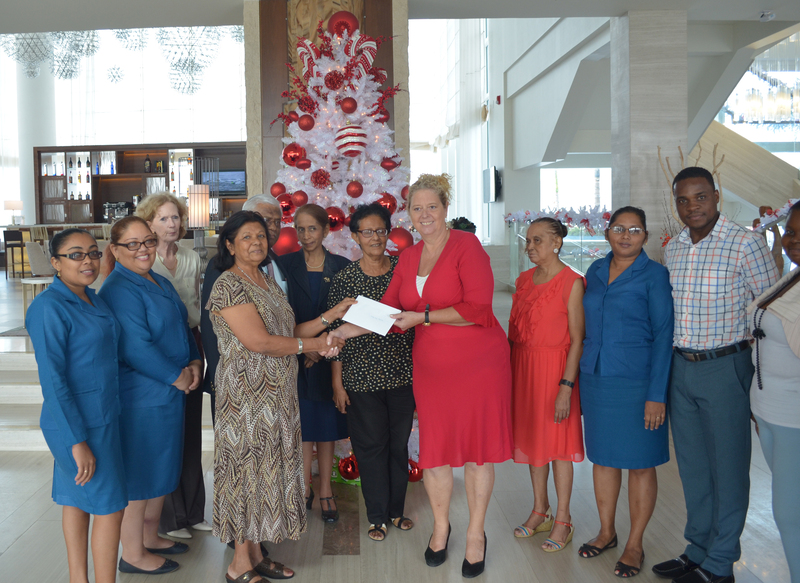 In photo, Ameena Gafoor (third from left) hands over one of the cheques to Jessica Hatfield of the Ruimveldt Children’s Aid Centre as representatives from the other six organisations and Gafoors look on.